Nominations for the Golden Globes will be announced Thursday morning with "Les Mis," "Zero Dark Thirty," "Girls" and "The Newsroom" elbowing in. 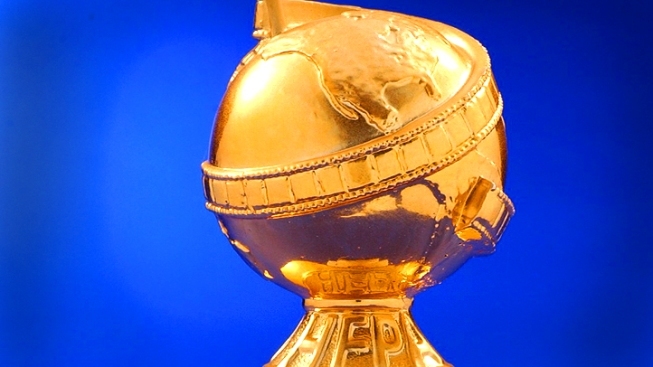 Nominations for the 70th annual Golden Globe Awards will be announced Thursday morning at 8 a.m. on NBC. Actors Ed Helms, Megan Fox and Jessica Alba will join the Hollywood Foreign Press Association Thursday morning to announce its Golden Globe nominations, and this year's likely list of movie winners is rich with historical dramas. "Zero Dark Thirty," the new film about the hunt for Osama Bin Laden, has been dominating the early awards season, having racked up a few Best Picture nods, as well as honors for director Kathryn Bigelow, screenwriter Mark Boal and star Jessica Chastain. "The Hurt Locker," Bigelow's and Boal's previous collaboration, earned them Globe nominations—this new film should improve on that success, with an additional nod for Chastain, and possibly co-star Jason Clarke. Other dramas expected to be in the mix will be Ben Affleck's "Argo," about the rescue of six Americans during the Iran Hostage Crisis; Steven Spielberg's "Lincoln," with a typically brilliant turn by Daniel Day-Lewis; "Skyfall," among the best 007 films ever made; writer-director Quentin Tarantino's slave-revenge epic "Django Unchained"; and director Ang Lee's "Life of Pi," the lushest, most visually ambitious film of the year. The Globes also recognize film comedies, too, and this year had lots of inventive ones likely to be included when the nominations happen at 8 a.m. ET Thursday on NBC. Writer-director Wes Anderson's "Moonrise Kingdom" is a sweet and sentimental look at young love, and featured a great cast. "21 Jump Street" and "Ted" caught everyone by surprise and are good candidates. "Pitch Perfect," starring Anna Kendrick as a reluctant a capella singer, has already made one top 10 list; the silver-haired rom-com "Best Exotic Marigold Hotel" is right in the Globes' wheelhouse with its British pedigree and aging stars; and "Silver Linings Playbook," starring Bradley Cooper and Robert De Niro is the thinking person's feel-good comedy of 2012. Unfortunately, much of the Golden Globe success they enjoy will be mostly limited to the nominations, as there's an 800-pound gorilla looming: "Les Miserables." Comedy films are lumped together with Musicals, and the Hollywood Foreign Press is a sucker for a musical, naming one best picture five times in the last 11 years. And "Les Mis" has it all, with a director (Tom Hooper) and five cast members (Hugh Jackman, Anne Hathaway, Russell Crowe, Helena Bonham-Carter and Sacha Baron-Cohen) who've previously been nominated for Globes, as well as a new song from Claude-Michel Schonberg, the film will likely be nominated in at least six categories, and possibly seven if they decide to put Anne Hathaway up as a lead actress. The frontrunners among the TV dramas are mostly seasoned veterans—"Mad Men," "Breaking Bad," "Game of Thrones"—or reigning champions, like "Homeland," but there's one noticeable, and controversial, newcomer. Aaron Sorkin's "The Newsroom," made a splash last season. Its rapid-fire dialog, strident lefty politics and dubious portrayal of women had people talking from the first episode to the last. The HFPA has nominated Sorkin's film work five times in the past, and "The West Wing," which he created, was nominated 20 times. For all the show's problems, star Jeff Daniels has been excellent, making even the weakest episodes somewhat compelling, and should find his name called. There also is a new wrinkle in the TV categories: "Downton Abbey." The PBS drama had previously run as a miniseries, but now confesses it is a full-fledged series. With "Downton" out of the miniseries field, it clears the way for the A&E western "The Hatfield & McCoys" and HBO's "Game Change," about John McCain's selection of Sarah Palin for his running mate in the 2008 presidential election. On the comedy side of the aisle, two other shows from HBO's Sunday night lineup are the most likely to get some love Thursday morning. "Girls" and its creator, Lena Dunham, were among the most controversial figures on the television landscape, with legions of people watching the show just to hate it and others watching it to love it. "Girls" and its creator have ridden a roller coaster of backlash and backlash against the backlash, but it's a great show and is sure to be nominated. And then there's "Veep," starring Julia Louis-Dreyfus as the ceaselessly put-upon vice president. JLD has already won the Emmy for this role, and the HFPA has nominated her three times in the past, so she's apt to get another nod. If you're looking for the HFPA to recognize a dark horse or sentimental favorite, Larry Hagman, who passed away Nov. 23, could get the nod for reprising his role as oil tycoon J.R. Ewing in TNT's reboot of "Dallas." The HFPA nominated Hagman for the role four times when the show originally aired in the '80s. The Golden Globes nominations will air at 8 a.m. ET Thursday on NBC. The awards, hosted by Tina Fey and Amy Poehler, will be broadcast on NBC Jan. 13.